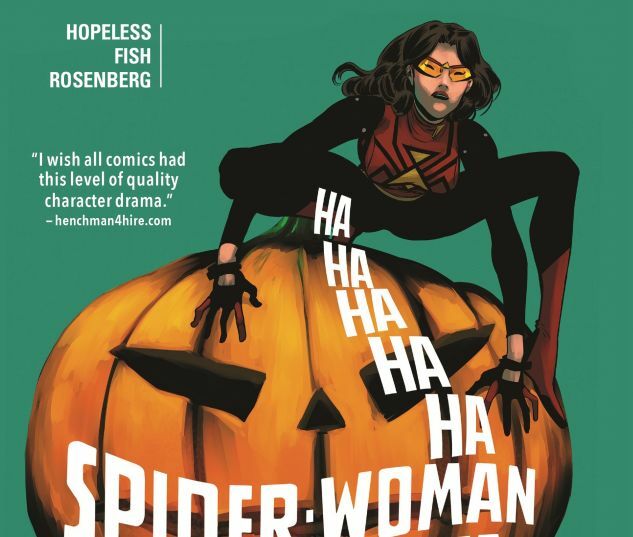 Jessica Drew has tangled with some of the worst and toughest criminals the Marvel Universe has to offer — and she’s even done it while learning to be a mom! But even the sleepless nights and exhausting responsibilities of motherhood couldn’t have prepared her for her toughest challenge yet: the scare tactics of the Hobgoblin! And just who is lurking under the mask?! In the fight of her life, Jessica will be pushed to the absolute brink physically, mentally and emotionally as the Hobgoblin does the unthinkable! 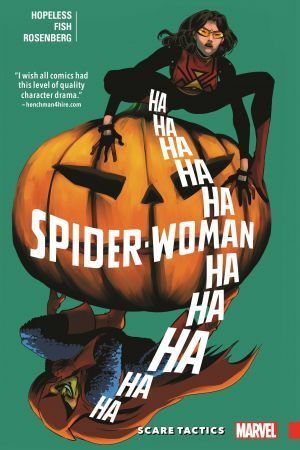 She’s tangled with Tiger Shark, battled Blizzard and taken on a whole host of super villains in her time, but Spider-Woman has never known the world of pain a Goblin can bring! If Jessica has any hope of victory, it’s going to take every last ounce of strength she has! 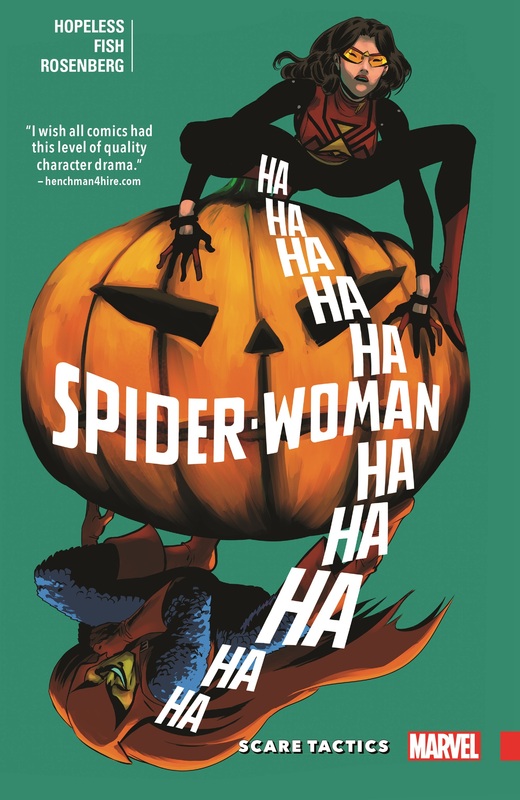 Collecting SPIDER-WOMAN (2015) #13-17.